The 7900 and 9900 are Epson’s introductory-level multi-channel printers. These 10-color printers offer a wider gamut than standard 8-color CMYK printers, and are therefore called multi-channel. If you print images using greens, oranges, and reds, then this is a great set. If you don’t need these colors, then it’s like using a mallet on a finishing nail. We have made two ink sets for these printers, which even further advance the gamut. This series utilizes Epson’s latest head technology, MicroPiezo TFP head technology. The question is, how much of an improvment is this technology, and does it offer a less ink clogging? These printers offer faster speeds, sharper dots, wider gamut, and easy handling. With two blacks in the printer it becomes easier to change media needing either matte black or gloss black. Overall print quality is very good. All the electronic parts offer ease of cleaning, including the ability to clean groups of heads instead of the entire ink set. Setting media up does not require a rod, but relies on the media core. It automatically move the paper down and winds it up. Unfortunately, Epson locked the user out of the printer for head replacement, as well as counters, probably with the intension of keeping third party inks out of their printers. This new printer technology uses electronic controls for delivering ink instead of manual levers. The design offers the potential for more problems. Within 3 weeks of setting ours up, we lost cyan and had to have the left ink bay replaced. Cost of repair is over twice that of previous models. Average head replacement from a repair company will cost you at least $2,200, with the head itself costing $1,800. The cost of capping station is also about twice the cost of the previous models. This head is more sensitive to the structure of pigment ink and is less forgiving to dry climates. We have received, for the first time in the 12 years, calls with problems of heads burning out as well as severe clogging with Epson’s own ink. Special care should be taken to keep the heads moist using dedicated cleaning and lubricating fluids. 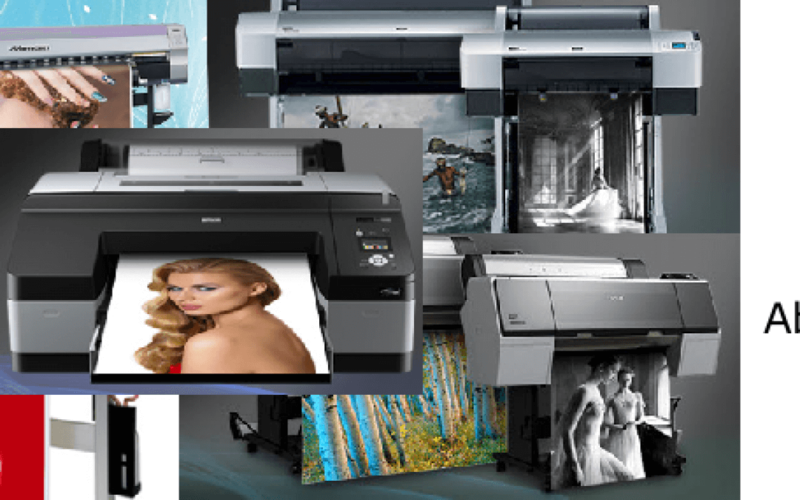 Buy the two year extended warranty plan, giving you a total of three years of Epson support. Plan to replace the capping station every three years. This printer has the most potential of any on the market and and is the one we have put the most attention towards.